Single supplements have been waived and discounts of up to 20 per cent offered on nine new, deluxe river expeditions in northern Vietnam encompassing the beautiful Red River and famous Halong Bay with its 1500 dramatic limestone islands. Available for bookings made until May 31, 2015, through Australian travel agency, Active Travel, which specialises in river cruises, the discounted, 10-night Pandaw river cruises operate between September, 2015, and October, 2016. 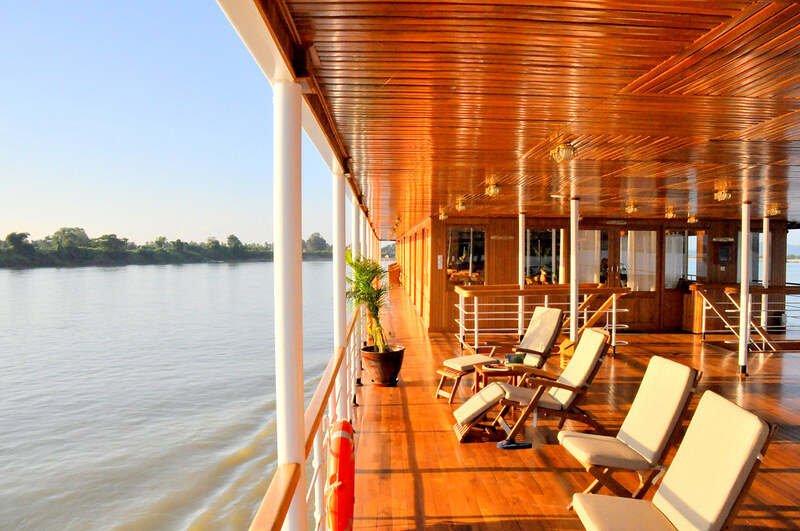 The new ‘Red River and Halong Bay’ sailings aboard the 32-passenger, colonially styled, RV Angkor Pandaw, which is hand-crafted in brass and teak, will set a course from Viet Tri near Hanoi along the Red River which has been a key trade route between Vietnam and China for centuries. The route along the upper stretches of the wild river takes passengers deep into highland Vietnam with its remote and sleepy tribal villages and rugged mountain scenery. The itinerary then heads downstream along the little-known Da, Duon and Kingh Thay rivers in the fertile Red River delta region, with a visit to the bustling capital, Hanoi, where guests are taken on an excursion including the notorious Vietnam war prison known as the Hanoi Hilton, a water puppets show and the 1000-year-old Temple of Literature, dedicated to Confucius. Sailing past emerald green rice paddies, more authentic, craft-making villages are visited on the journey towards Halong Bay where the vessel anchors in a sheltered bay on the final and tenth night before a spectacular sail around the iconic bay the next day, visiting limestone caves and floating villages and schools. The 10-night packages include land transfers from and to Hanoi, excursions, cooking classes and cultural performances onboard the vessel, local beer and spirits, soft drinks, a welcome cocktail, farewell reception, fruit and flowers on arrival, spa-branded toiletries, kimonos and slippers in staterooms and refreshing drink and cold towel after tours ashore. A discount of 20 per cent and no solo supplements are available on RV Angkor Pandaw’s Red River and Halong Bay sailing on January 18, 2016, with fares starting from US$2600 per person (including the discount) for twin-share or solo passengers. A 15 per cent saving and no single supplements are available on a February 7, 2016, departure, with fares from US$2762.50 (including the discount) twin-share or solo. And a 10 per cent discount and no single supplements are also available for departures on September 30, 2015, and January 8, February 27, March 8 and 18, September 29 and October 19 in 2016, with fares from US$2925 (including discount) twin-share or solo. The deals are valid for bookings made before May 31, 2015, and are available until sold out. Airfares to Vietnam are extra. For details, visit www.activetravel.com.au or call 1300 783 188. From aboard Star Clipper: Ancient Kaunos, Turkey.